As soon as you find out that you are pregnant, one of the first things expectant mothers do is look at their diets and start eating healthier, more nutritious meals. And rightfully so. Giving your body and baby a well-balanced diet is one of the greatest gifts you can give to your new little one because a mother’s nutritional choices while pregnant can have profound and lasting effects on the child’s health. But as your belly and your baby grow, so does your blood supply, your organs, and your breast tissue. All of this growth during pregnancy requires calories, yes, but also lots of protein. Most expecting mothers understand the importance of eating healthy foods, but they don’t know that they need to increase their protein intake during pregnancy and the importance of doing so. Protein during pregnancy is an essential nutrient for women and their growing babies. Protein provides amino acids—which are considered the body’s building blocks—necessary for fetal tissue development and maternal tissue expansion. It has been cited that protein is the single most critical element for fetal neurological development. A protein-rich diet positively affects tissue growth during pregnancy, including: baby’s fetal tissue and brain, and the mother’s increasing blood supply, breast, and uterine tissue. A diet deficient in protein can lead to health problems for mother and baby. How much protein do pregnant moms need? According to the USDA, pregnant women require about 70 to 100 grams of protein per day. That’s at least 25 more grams of protein than non-pregnant women, who only need 45 grams per day. It’s surprising to most women that they are—more than likely—not getting enough protein. Protein is especially important during the second and third trimesters when the fetus is growing rapidly. This additional protein can be acquired by eating protein-rich foods as part of a healthy and balanced diet—including eggs, cottage cheese, chicken, salmon, beans, peanut butter, low-fat yogurt, tofu, and collagen—as part of a healthy and balanced diet. Many women are surprised to find out that even while eating a nutritious diet during pregnancy they may still be protein deficient. Research shows that most pregnant women have below normal protein levels. But don’t panic! There is time to make a change and there is an easy solution to increase your protein levels called Protiva. Protiva: Nutrition when you need it most. Protiva was developed with two goals in mind: to help pregnant women reach their nutritional needs in mid to late pregnancy, and to help new moms heal from delivery, while providing the additional protein and vitamins they need when breastfeeding. Protiva is the only protein product proven to be safe for you to take during pregnancy. It’s the first and only pregnancy protein drink to have completed a clinical study approved by an institutional review board, and has demonstrated effectiveness in improving protein levels during pregnancy and breastfeeding. In their study, it showed that 98% of pregnant women tested in their third trimester of pregnancy had protein levels below or at the bottom of the normal range. After taking Protiva, 100% of women showed an increase of their protein levels to normal range. 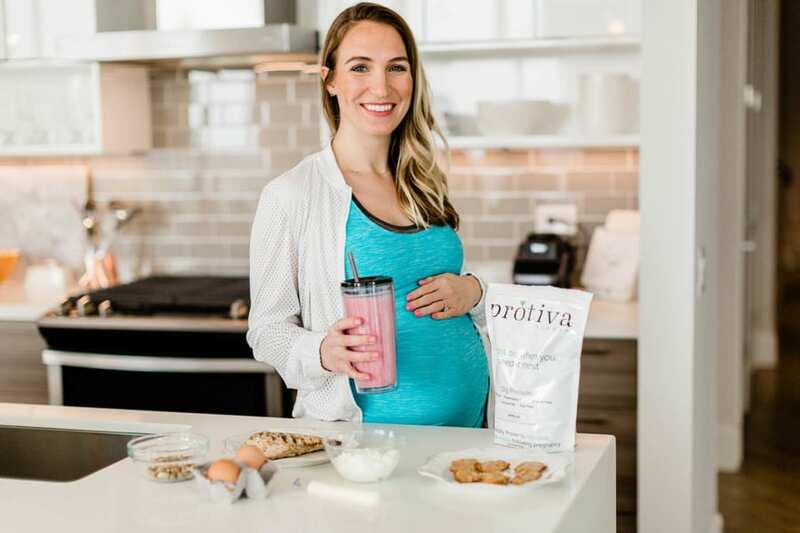 Protiva is a convenient and easy way to pack in an extra 15 grams of protein a day, formulated specifically for the needs and safety of new moms and babies—including being allergen-free. Protein powders generally use whey, soy, and casein protein. Protiva, however, uses collagen—a naturally-occurring fibrous protein that supports connective tissue growth. Collagen’s regenerative properties make it an ideal pregnancy choice to support joints, ligaments and tendons, and a post-delivery healing for anyone who delivered via C-section or had an episiotomy. It also helps with skin tone and elasticity, which is a nice bonus for moms post-childbirth who are interested in a quicker return to their pre-pregnancy bodies. 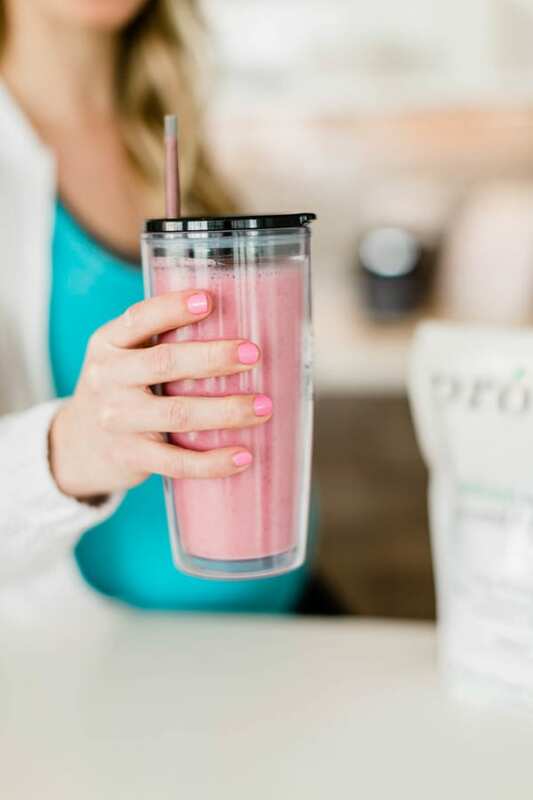 Supplementing with Protiva during pregnancy and in the months after baby arrives helps new mothers maintain more optimal protein levels, which helps to boost energy and repair the body. Here are two fast and easy ways to help increase your daily protein intake with Protiva. Grab your protein shaker bottle, add 8-10 oz of almond milk, and one scoop of Vanilla Protiva. Shake it in your bottle and you’re ready to go! Talk with your doctor or midwife about your protein levels and see if Protiva is right for you and your baby.